Qinzhou Nixing pottery from Guangxi Province, one of the four famous ceramics,are familiar to few people at present. Qinzhou Nixing pottery has a history of over 1,300 years, unique in its art style, has developed as a distinctive genre of ceramic art. 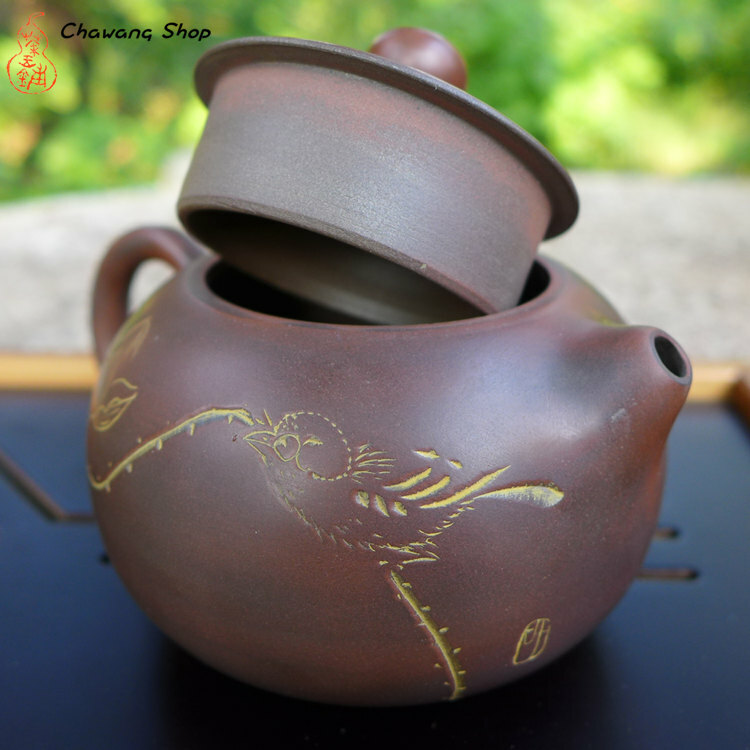 Teapot Inscription : One side- Bird and lotus; one side-calligraphy "鸿朗高畅" , made by Qin Mo. 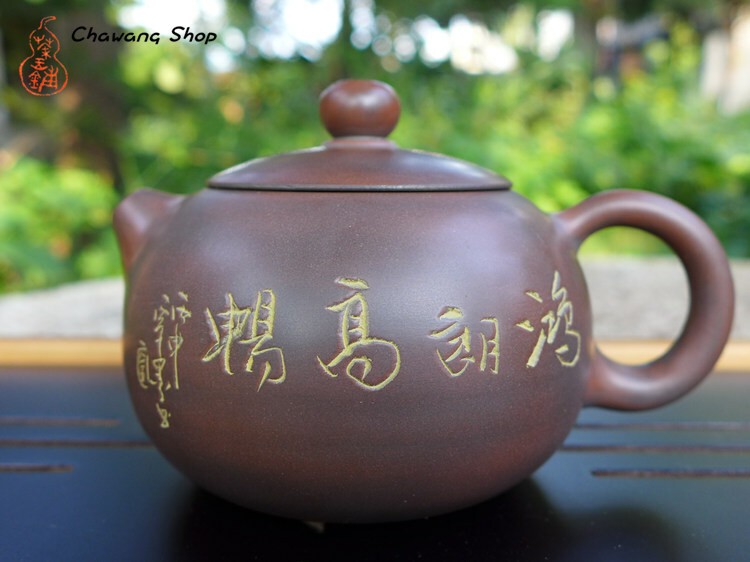 Info : Hand made teapot with great painting and precious calligraphy work created by the Guangxi folk arts and crafts master Qin Mo. High quality nixing clay, very good work, great size for gong fu tea, one or two drinkers. Water go out very fast, no leaks, work very well. Nixing teapots are very good for all kind of heicha, puerh and roasted oolong.